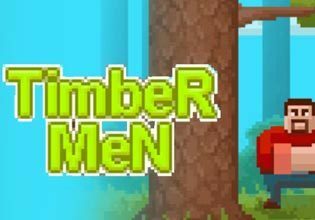 Live the life of a lumberjack! Swing your axe and turn even the biggest trees into firewood. But be aware to not get hit by branches while you do your work. Unlock PowerUps - Be it a more powerful cut or a better axe, there is always room for improvement and you got to go the extra mile, to get those trees to the ground!